OpenTouch Business Edition (BE) delivers single platform world-class business telephony system with advanced multimedia collaboration and mobility services. With OpenTouch BE you can deliver a range of communication services on a single platform, from premium business telephony to the most advanced multimedia collaboration and mobility services in the market. OpenTouch BE addresses the communication requirements of enterprises of up to 1500 employees and 3000 devices by providing advanced business communications, multimedia collaboration, contact centre and management services, both in the office and on the go. 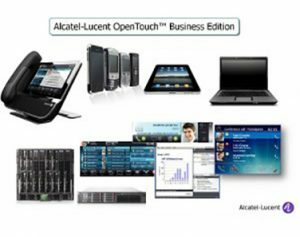 OpenTouch BE delivers all these on a single platform improving the total cost of ownership (TCO). OpenTouch BE is delivered as a pre-installed appliance or as a software-only version running on VMware®. Its single-server design is perfect for your customer as all businesses need to reduce the cost and effort of provisioning, testing and managing new servers. Instant business response: all important calls are identified and answered. Efficient interactions between geographically-dispersed teams and reduced travel expenses. Flexible options: desk phones, wireless handsets or software clients on smartphones and tablets for resident workers and increased mobility in the workplace. Employees are reachable anywhere and on the device best suited for their location. Instant business response with multitasking between IM and voice sessions. Better engagement with contextual video and content sharing interactions. Increased customer satisfaction by answering all calls – centrally or in branch offices. Accelerate first call resolution with a call distribution logic that can be adapted within days to evolving needs. Decrease TCO while maximising service continuity with unified platform and operations. 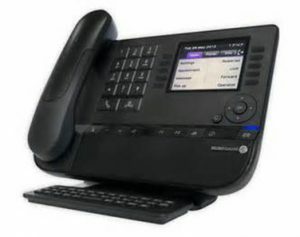 OpenTouch Connection experience: Enterprise-grade communication services, including state-of- the-art telephony and a wide range of professional terminals. OpenTouch Conversation experience: Innovative multimedia collaboration solutions that boost productivity, facilitate mobility and decrease travel costs. Web conferencing with customers, partners and colleagues.